Greenwich senior Sophia Prieto bats against visiting Brien McMahon during an FCIAC matchup on Monday. Prieto was the winning pitcher for Greenwich, which posted a 10-3 victory. GREENWICH — McMahon became the latest team that had trouble holding the Greenwich softball team’s vaunted lineup in check. The Cardinals have scored 56 runs over their first four games, 10 of which were tallied against the Senators on Monday. With each player contributing offensively and Sophia Prieto producing another stellar pitching performance, Greenwich raised its record to 3-1 on the young season, defeating visiting McMahon, 10-3. Sophomore catcher Olivia McClammy hit a two-run home run and drove in four runs, senior shortstop Emma Beinsten went 4 for 4 with an RBI, senior infielder Kelly Brogan had two hits and Prieto had a pair of hits to pace the Cardinals offensively. Prieto (3-1), a right-hander, struck out five batters in a complete-game effort to earn the win against an improving Senators squad. Sophomore Aliza Perez hit a pair of singles and senior pitcher Aidan Bowman had a base hit and walked for McMahon, which scored a run apiece in the second, third and fourth innings. After Brogan scored Greenwich’s first run in the opening inning on a wild pitch, Prieto delivered an RBI single and senior outfielder Charli Faugno drove home a run with a ground ball, giving the home team a 3-0 lead. Sophomore Mara Chumpitaz hit a run-scoring single in the second inning, cutting Greenwich’s advantage to 3-1, but the Cardinals tallied three more times in the bottom half of the inning. McClammy followed singles by Brogan and Kayla Darling with a double to the left-field fence, bringing Brogan home. Senior outfielder Julie Gambino hit a sacrifice fly later in the inning, making it 6-1. A sacrifice fly by Bowman and a run-scoring single from Perez brought the visitors to within 6-3, but GHS broke the game open with one run in the fourth inning and three more in the sixth. 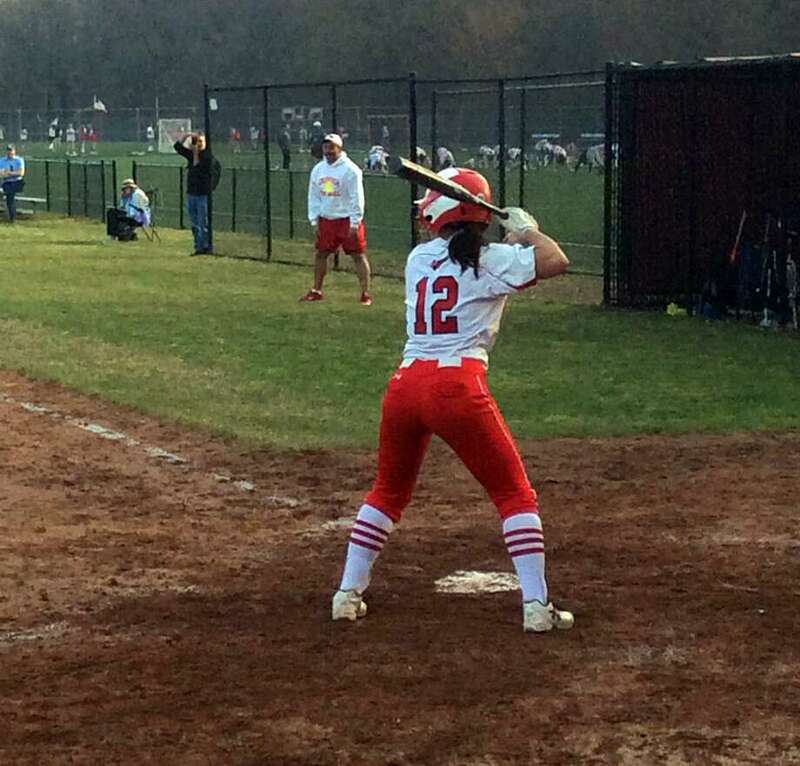 Kate Walko, a senior outfielder, knocked in a run in the fourth inning with a single off Bowman and McClammy smashed a two-run home run over the left-field fence, giving the Cards a 9-3 edge. McClammy drove in four runs with a home run and a double. She went 3 for 4 with three runs scored. Beinstein got on base each time she stepped to the plate with four singles and Prieto was solid once again, on the mound. Batteries: BM – Aidan Bowman (LP) and Lila Young; G – Sophia Prieto (WP) and Olivia McClammy; Records: Greenwich 3-1; McMahon 0-2.